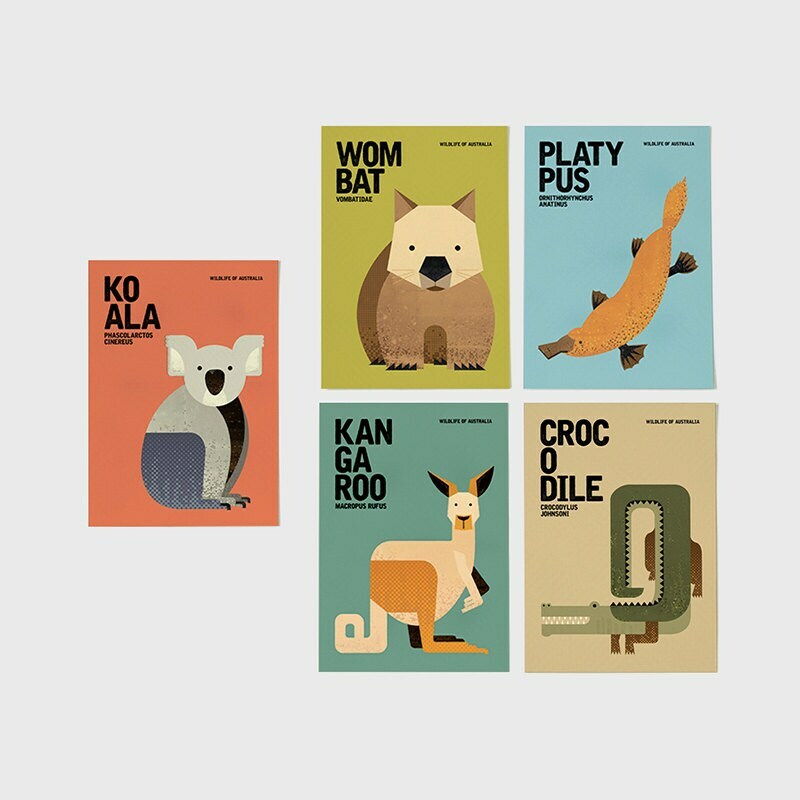 Set of 5 notecards from our Wildlife of Australia collection: Kangaroo, Koala, Platypus, Wombat and Crocodile. Unique in design, whimsical and minimal with a touch of retro, these notecards will appeal to the young and young-at-heart. All notecards are blank on the back (except for our URL which is discreetly printed at the bottom), perfect for jotting down your ideas or as greeting cards. They are also good to frame. 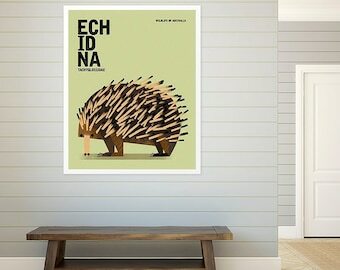 And definitely a great gift for the animal lovers of your life! Your cards will be shipped in sturdy, moisture-resistant packaging via Australia Post regular air mail service, within 5 business days after receipt of payment. Delivery can take from 4 to 21 days. If you need your cards shipped via registered mail service or urgently, other arrangements can be made -- just contact us. Beautiful cards, exactly as pictured. I am thrilled to have them as part of our Postcard Wedding Guest Book. Fast shipping and great service. Thank you! Lovely postcards, quick delivery, nicely presented with Xmas treat and note - very thoughtful. These details make a difference and are one of the reasons I love Etsy.